The instruction to "reset your router" means two different things. Either you power-cycle it, leaving the settings intact, or you reset it to its factory default condition. 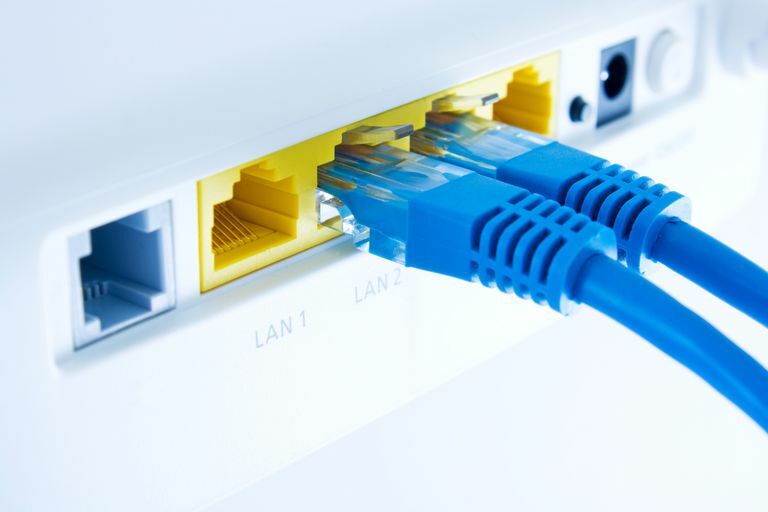 Broadband routers generally require a special procedure to effect a full factory reset. The general rule for a factory reset usually gets called by the shorthand name of a 30-30-30 reset: Press the reset button for 30 seconds, unplug the router from its power source for 30 seconds, then plug it in with the reset button depressed for another 30 seconds. Although any given router's procedure may differ, in general, the following steps tend to work on most brands of routers. With the router plugged in and powered on, depress the reset button for 30 seconds. This button is usually a tiny dot recessed into the back of the router. You may need a jeweler's screwdriver or a bent paperclip to access it. While still holding down the button, unplug the router from its power source for another 30 seconds. With the reset button still held down, turn the power back on and hold for another 30 seconds. After this 90-second process is complete, your router is restored to its factory default state. Your particular router may not require the full 30-30-30 procedure. Some routers can be hard reset after only 10 seconds and without power cycling, but the 30-30-30 approach won't harm the router. Memorizing and following this 30-30-30 rule is recommended as a general guideline. After a router has been reset, log in to it with the default IP address, username, and password that it was originally configured with. If your router is from one of the major router manufacturers such as NETGEAR, Linksys, Cisco, or D-Link, you'll find the default information for your router at their websites or in the documentation that came with the router. Rebooting a router and resetting a router are two different procedures. The reboot is a simpler process and you should try it before the reset. If rebooting doesn't solve the router's problem, the 30-30-30 reset is still available. A router reboot shuts down and restarts all functions of the unit but preserves all of the router's settings. It's similar to how rebooting your computer shuts it down and then powers it back on. Routers can be rebooted by switching off the power or through the console's menus without going through the 30-30-30 reset procedure. A router reset reboots the router, changes its settings, and deletes custom configurations that may have been applied to it. This means your wireless network settings, custom DNS servers, and any port-forwarding settings you had previously entered are removed when the software is restored to its default state. Like computers, phones, and other devices, a home router can eventually fail if its power is cycled too many times. However, modern routers can be rebooted or reset thousands of times before you'll need to worry. Check the manufacturer's specs for reliability ratings if you're concerned about the effects of frequent power cycling on your router.